Are you stressing out just by thinking about your approaching moving day? Have you dreamed of a magic wand to do all the work that needs to be done for you, so you can just find yourself in your new home? Well, while we cannot offer you a magic wand, we can come up with a smart decision that will serve you in a similar way. If you are still wondering what this decision is, the answer is really simple – Leicester Removals. We cannot provide you with a magic wand, but we can make you feel as if you have one, especially after all the hard tasks are accomplished and you are relaxing in your new home. What you are reading here is not an exaggeration or false promises. The affordable services we provide as well as our fantastic team of hard-working experts are available for you to use at any time; we move people on weekends, holidays, even during weekday evenings, if necessary Therefore, we can freely state that all your moving needs can be satisfied with us and your moving day can be a special one. Furthermore, at our Leicester home removals firm, we understand how stressful and exhausting it is to say goodbye to the place you used to spend your days at and decide which goods to take with you and which to leave behind. However, you should not be stressing about your upcoming house relocation because we will do everything possible to show you that when you have the experienced professionals from our company on your side, the actual execution of your removal will be a real breeze. Our reliable services are designed to help you prepare and go through the entire process of your household relocation in a quick and efficient manner. The staff of our outfit is going to be at your disposal from the very beginning when you give us a call, all the way to the very end, when we are sure that you are fully satisfied with our services. Your belongings are in safe hands with us and we will provide the utmost care while loading, unloading them and while in transit, so you can rest assured that damages and breakages are not a possibility. The range of moving vehicles we own allows us to choose the one most suited to your personal removal situation. The vans we use for domestic removals are fully equipped with all the tools that may come in handy, such as sack trucks, lifts and even piano wheels. So there is no place for worries – no matter how small or big your move is, we can transport anything from and to Leicester, as well as within the country. Our goal is to simplify your home move at every step and that is why we are prepared for everything from packing to unpacking of all of your items to safely storing and transporting them. 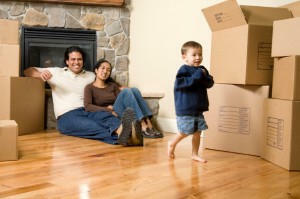 Just name it and we will be ready with the solution, which is why we are the best removals Leicester option. Moving home Leicester is different for everyone, so we offer different removals packages, designed solely for our customers’ convenience. However, it does not mean that we cannot tailor any of our removal services in a way that will be most appropriate for you, so you can save time and money. We are aware that everyone is concerned about the final bill and we can assure you that our charges are transparent and no hidden fees will be applied. We highly appreciate the fact that you’ve turned to us for help, so there is no way to let you down; that’s why we promise you transparent and very low rates, as no extra charges are guaranteed. House removals Leicester is our specialty and we will provide you with all the details regarding the storage and home removals services we offer for no charge, so you can get familiar with our website or simply call us on 020 8746 4362. Our friendly consultants will be more than pleased to answer any of your questions or advise you about your concerns, so go ahead and give us a ring.